Historical Note: A Swiss immigrant, Michael Senn, founded Lasita shortly before 1880, when he opened a general store on his homestead. Today, the cemetery and the home of Mr. Senn are the only reminders of the early town. The earliest tombstone is for the son of Jonathan and Elizabeth Flover, who died 20 September 1861, age 11 months and 10 days. Directions: From Leonardville, take Barton Road, Highway 24, west four miles to Lasita Road, County 873. Turn right (north)and go three miles. 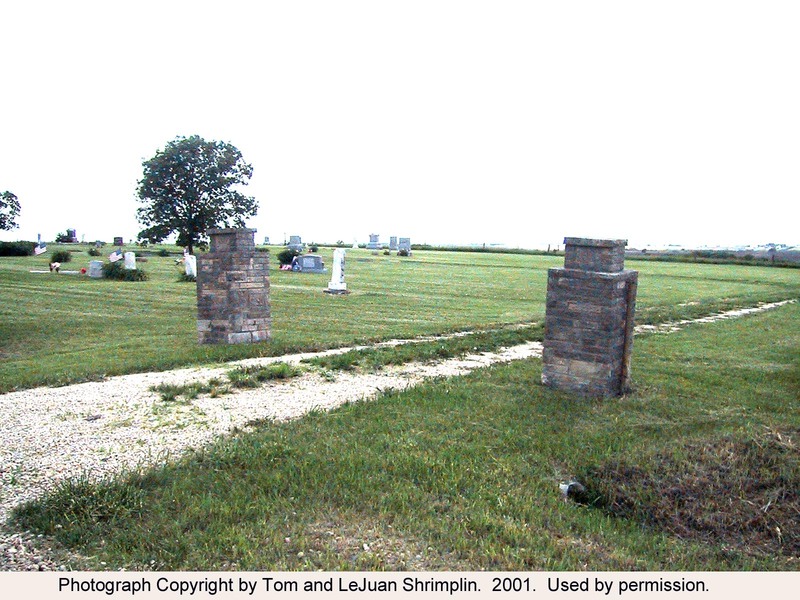 The cemetery is at the northwest corner of the intersection of Lasita Road and Senn Road. The cemetery is 1.5 acres with a 20 foot road around the perimeter.